Colonial Nursery is a garden and brewery wedding venue located in Ladysmith, Wisconsin. 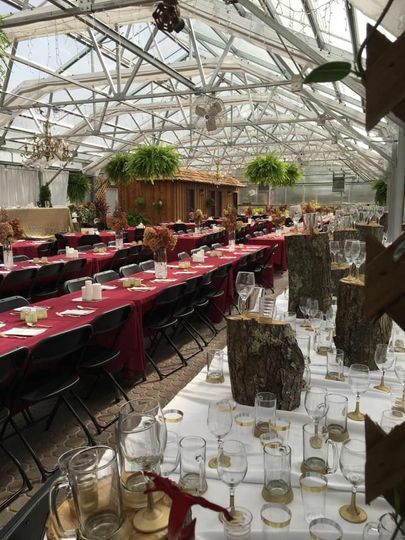 Known as one of the most popular wedding venues in the beautiful Rusk County, this stunning greenhouse offers couples with a spacious, floral atmosphere that will make for an unforgettable backdrop to your wedding day festivities. 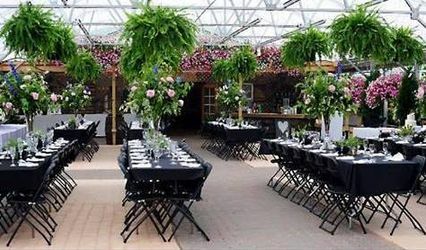 Colonial Nursery is a spacious greenhouse wedding venue that accommodates up to 450 guests. 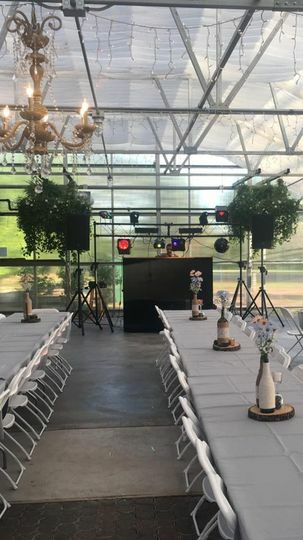 With over 7,000 square feet of space to make your own, this venue provides couples with a fully customizable wedding backdrop to create your envisioned atmosphere for your celebration. 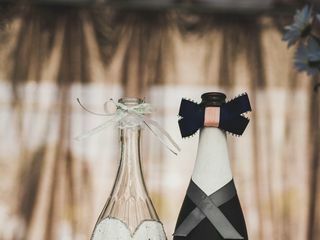 Their experienced event staff will see that every detail of your wedding celebration is to your taste, with floral packages and decor services, as well as a variety of event items that can be flexibly coordinated according to your wedding vision. 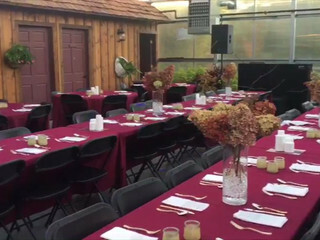 The venue features indoor event space, as well as covered and uncovered outdoor space. 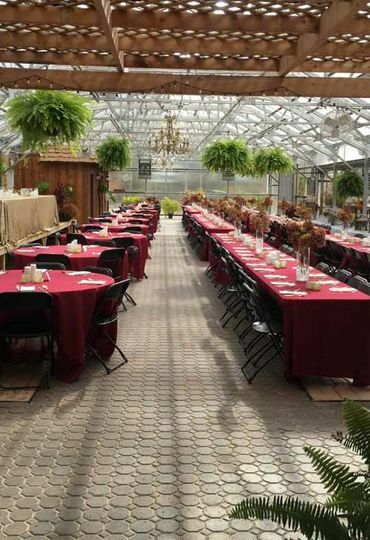 Along with a beautiful greenhouse venue, Colonial Nursery also serves as a brewery that brews all of their own craft beer. 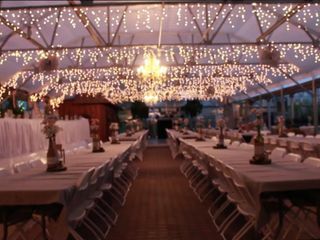 This wedding venue provides clients with a multitude of wedding services to ensure that your wedding celebration is executed with uniqueness, convenience, and affordability. 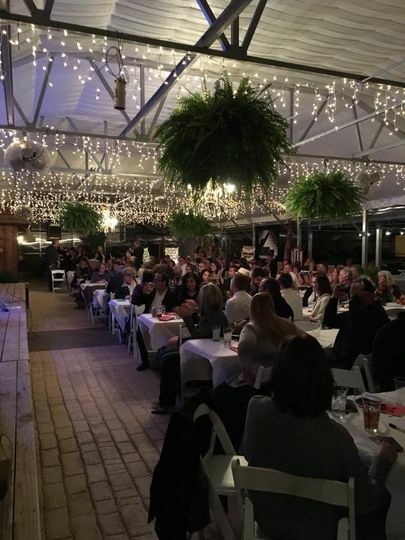 Best venue in the area! 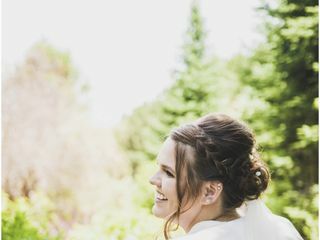 My dream wedding came true! Kathy and Cliff and all of the staff are amazing to work with! I had 11 months to plan and Kathy was with me every step of the way! Always willing to talk and meet. 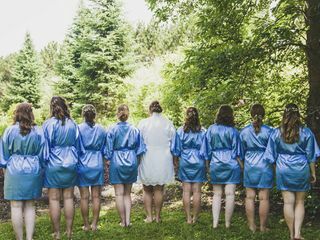 They went above and beyond to make our wedding day special. Their place is gorgeous and you will not be disappointed. 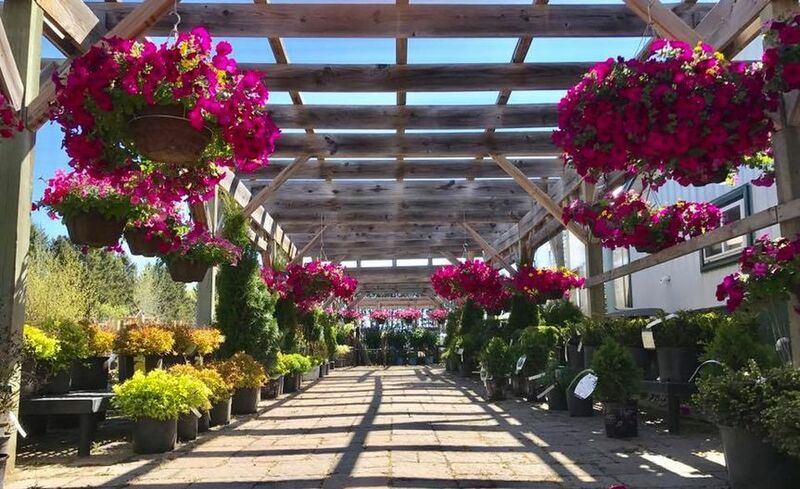 Their flowers are one of a kind and they help you get exactly what you want! 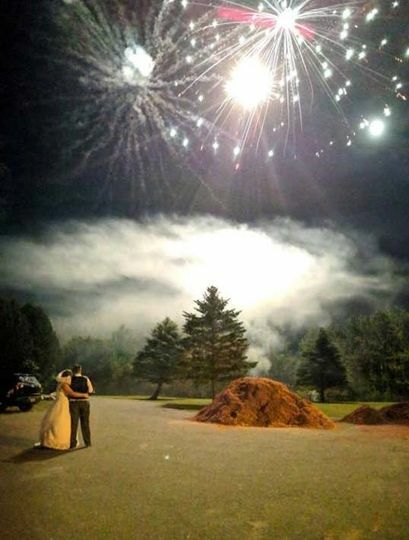 Our wedding was in June with 300 guests and there was plenty of space, lots of parking and they also had some shading and fans blowing so it was not extremely hot which was nice. They also have so many GREAT spots to take pictures! 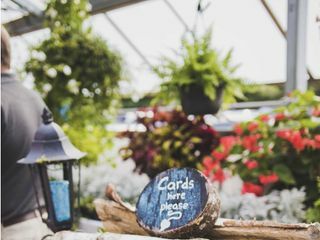 At this venue you can be very creative, and the staff always has great ideas to help you with! 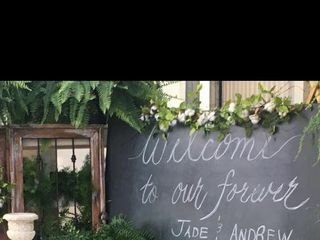 If you’re looking for a place for your dream wedding I 11/10 recommend going to colonial nursery! :) can’t get any better than this! 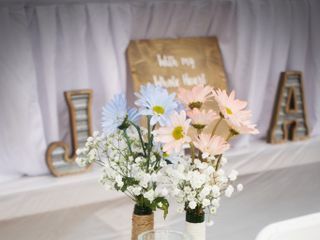 Book your wedding with us for 2019 and be entered into a drawing to have all your wedding flowers for FREE!! Our wedding collections feature designs and styles to fit any bride. 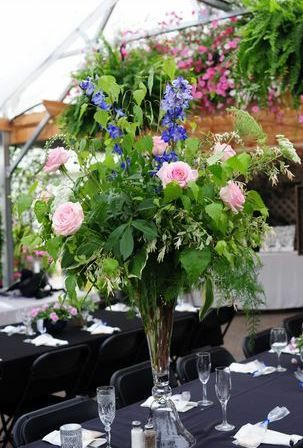 Along with our unique wedding venue, we are a floral department with magnificent fresh flowers. From elegant whites to passionate reds, and everything in between. 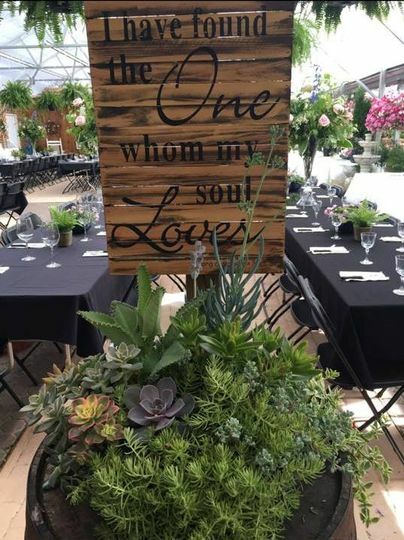 We handle Brides and bridesmaids bouquets, boutineers, corsages, swags and arbor pieces, table centerpieces, or anything you just might dream up. Bring us your ideas and we will make them happen!!! 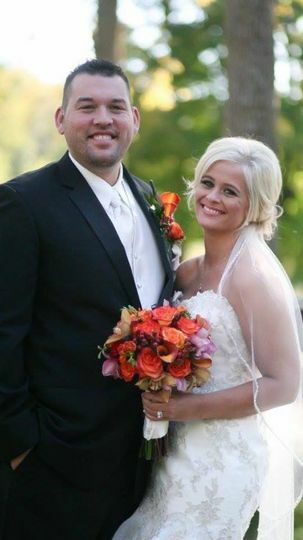 Everything will be perfect, and one couple will get theirs flowers, FREE!